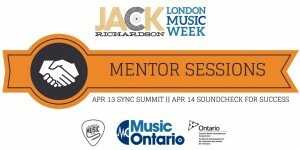 MusicOntario’s pleased to once again support the London Music Office and Jack Richardson London Music Week! 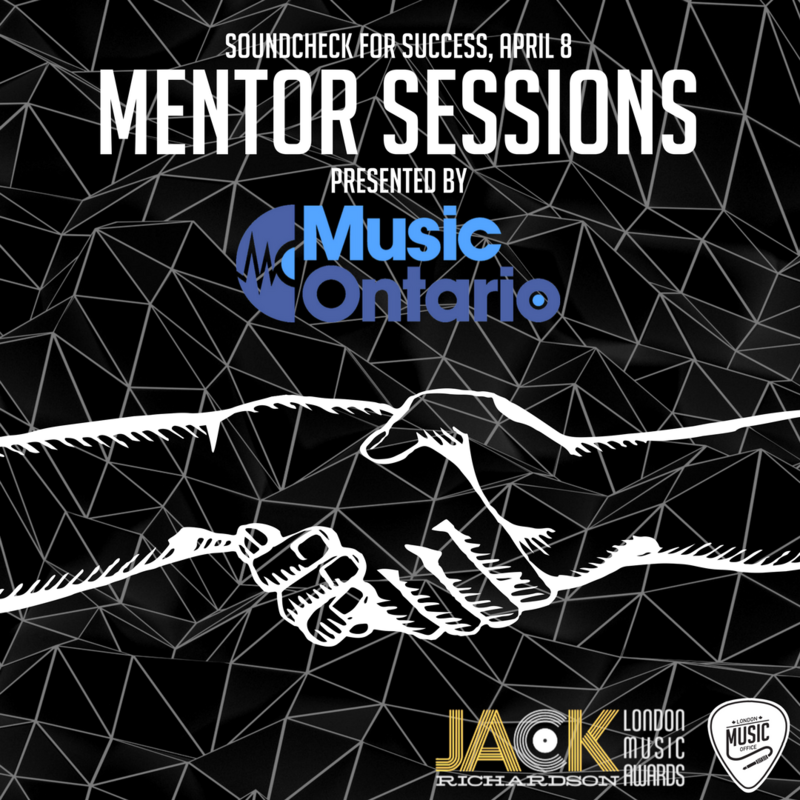 This year MusicOntario will be coordinating the one-on-one mentoring sessions during two days of the educational seminars. 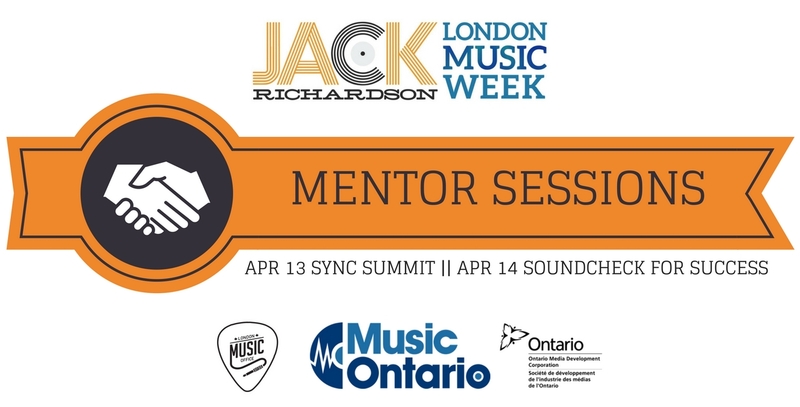 Friday April 13th as part of Jack Richardson London Music Week the London Music Office in association with the Jack Richardson London Music Awards presents an afternoon focused on music synchronization with film, television and gaming. Learn the in's and out's of 'Music Sync'. This event has limited space available so sign up now! Mark Vogelsang - From script to the final sound mix, there are many overlooked elements of sound production that will render a film’s story successful or unsuccessful in the mind of an audience. For the past 22 years, Mark Vogelsang has captivated listeners with sonic storytelling, and inviting all to join in his explorations within the world of sound. Three music publishers will discuss their roles and how they work to license music in the film, television and gaming industry. 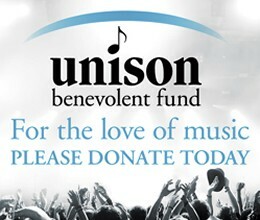 Discover one of the fastest growing segments of the modern music industry. Music is now featured wall to wall in film, television and games. As this segment of the industry continues to evolve and grow hear stories from the folks that a directly responsible to placing music. What are they looking for when selecting music? Learn the processes and importance of music supervisor. Connecting one-on-one allows attendees to ask the questions they need answers to. Pre-registration is required for this section of the event. Details and registration to come. What makes a good song? Find out at SoundCheck for Success on April 14. Want expert career advice? Sign up on-site for a mentor session with a music industry professional. Soundcheck – that all-important step to make sure everything is working. The Jack Richardson London Music Awards and Fanshawe College Music Industry Arts offer musicians a full day of steps to make sure their careers are working.SoundCheck for Success, the annual professional development & music career day provides insights and advice from experts on both sides of the microphone. Artists such as Dave Bidini and Karen Kosowski and industry gurus such as Garth Richardson, Terry McManus and Amy Terrill, executive vice-president of Music Canada, are participating in a day-long expo hosted by radio veteran Greg Simpson. If you want to hear what the founder of the Songwriters Association of Canada thinks makes a good song, check out Terry McManus talking with publisher Amy Eligh. McManus will also talk about marketing to stand out from the crowd with Beth Cavanagh. Michael McCarty of SOCAN will reveal five startling truths about success in music today. Check the producers’ panel and record cycle panel, which explores the life of a record from inception to touring in the electronic age. 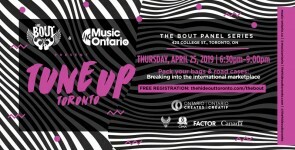 A panel on women in music will take a timely look at sexism, sexual harassment and how to make the music community safer for performers and fans. 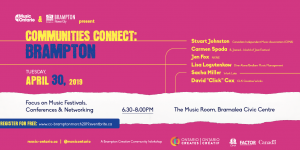 Dave Bidini, founding member of the Rheostatics, musician, author and filmmaker, will discuss funding projects with Matt Smallwood, principal with Flying Colours, a company that helps new artists get their music to the marketplace. Bidini is the only person nominated for a Gemini, Genie and Juno, as well as CBC’s Canada Reads. New Hall of Fame inductee Graham Lear, best known for his time as drummer for Gino Vanelli, Santana, Paul Anka and REO Speedwagon, will perform with Ed Pranskus (Thundermug) and the Hall of Fame Lizards. Drummers will also want to sit in on the drum clinic led by Danny Miles of July Talk.